The Roto-Max was designed from the ground up with the operator in mind, placing the load where the operator determines they would like the work load positioned. It doesn't matter how short or tall the individual is since the operator determines the most comfortable working height. The Roto-Max allows complete flexibility to do the ergonomically safest job with maximum efficiency. 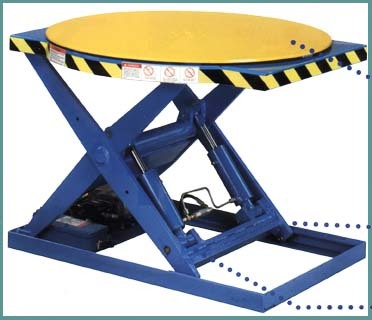 Whether the load is one pound or 3,500 pounds, the positioner height does not change until the individual wants it to change. With a lowered height of only 6.5", an operator has easy access to the top layer of product. 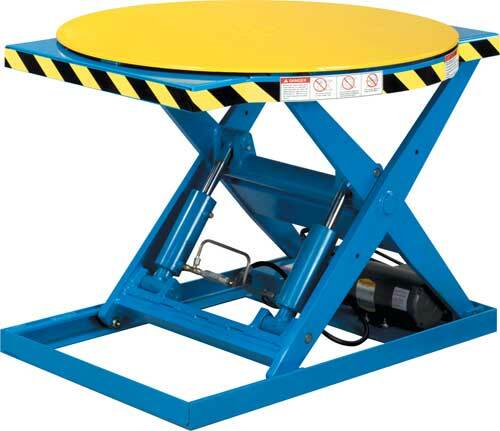 The raised height of 32.5" (plus pallet height) is ideally suited for most applications.